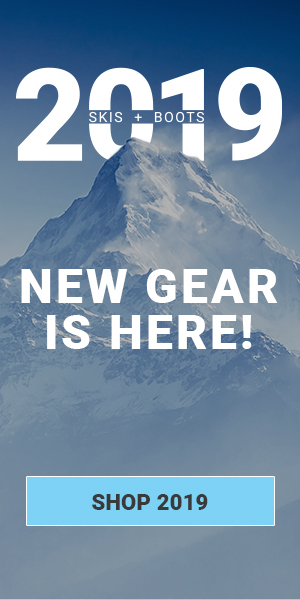 It’s the time we’ve all been waiting for… Watching the first snowflakes transcend from the sky, becoming consumed with the thought of fresh powder beneath our feet, and scouring the internet for the latest and greatest gear. When you think life cannot get any better, winter comes along and adds a new dimension to outside adventuring. Your life becomes filled with endless opportunities to do what you love most, while relishing in the new release of this season’s snowboards, all unique and special in their own way. But whether you’re looking to buy or just exploring the aesthetics, the market is always filled with plenty of great snowboards for the taking. So to make your search more organized and hopefully more enjoyable, we have curated a list of our top recommendations for the best snowboards of 2018. Ride – Warpig: The first board that we highly recommended, and quite prestigious in the snowboard world, is the Ride Warpig. It is the only board to win all Good Wood categories, making it a powerhouse to begin with. Returning this year and more popular than ever, the Ride Warpig now comes in a smaller shape. The new size is shorter, wider and tapered to let riders move more freely down the slopes. More specs include a Tapered Directional Rocker, Roll-In Slimewalls, Cleave Edge Steel and Carbon Array 3 Laminates. Although this board packs plenty of power, those who weigh in on the lighter side, as well as women, can now experience the magic thanks to the new extra small size. Ride this board in all conditions and on any terrain, but you should have some experience under your belt before you pick up this baby. What more can I say, this board is obviously a winner. Burton – Deep Thinker: The next board that’s here to impress is the Burton Deep Thinker. Although this board is directional, it hasn’t stopped Danny Davis, who rides this in the pipe. With a 7mm taper, riders can enjoy a surfy ride, maneuvering through trees and steep chutes with agility and speed. The board also comes equipped with a directional camber profile, frostbite edges and Pro-Tip. The tapered shape and medium-stiff flex make this board great in the backcountry and in all other terrains of your liking. Explore the vast mountainsides as you have your best thoughts, returning home with new ideas and a fresh perspective. Gnu – Money: Uh, first, can we talk about how steezy this board is? The Gnu Money slays with the looks and comes in at a price point that’s virtually unbeatable – only $349! This directional twin deck is perfect for the terrain park with a soft flex and C2E contour, providing control, precision and float. And as if it can’t get much better, Magne-Traction allows for superior edge hold in icy conditions. Ride in style with the power you deserve. Dinosaurs Will Die – Rat: Okay, so as if the name doesn’t catch your attention first, the Dinosaurs Will Die Rat is one of the most affordable park boards. With a soft flex, reverse camber profile and POPlar wood core, you’ll have the spring you need and performance you deserve. This flexible board is great for beginners or intermediate riders who are still learning their ways around the park. Besides, who can resist that price? For the ladies, don’t worry, we haven’t forgotten about you! There are plenty of amazing options this year for you as well, with the first being the K2 Wildheart. At first glance, the board’s water colored, hazy print catches your eye, before you delve into the incredible specs. If you’re looking for an all-mountain board to hit the slopes, this is your lady. With a Volume Shift Directional Shape, you can downsize your board a few cms than your regular size, granting you more freedom as you cruise down your chosen terrain. The K2 Wildheart also has a 10mm taper, a reduced swing weight and Carbon Torque Forks, all working together in perfect harmony for a light, responsive ride. The Camber Baseline with Tweekends give you power when you need it and float on powder days. For any advanced riders looking to step up their game, this board is no doubt the answer. Burton – Story Board: As smooth and relaxed as the graphic on the front, the Burton Story Board will have you on a free-ride of your dreams. For those powder days, this board comes equipped with a 10mm taper and a directional camber profile, with a reduced swing weight for jumps and carving. Use this puppy for hard carving on the steeps or hike-to terrain with its directional shape, stiff flex and perfect camber profile. If you consider yourself an expert in the sport, this incredibly versatile board will compliment your style nicely. Gnu – Gloss: At another price you can’t resist, the Gnu Gloss rings up at only $349! This board is best used for throwing down tricks in the park, with a Directional Twin shape, soft flex, Mangne-Traction and C2E Contour, creating an effortless ride. Hand built in the good ol’ USA, you can be proud to ride this and catch lots of eyes checkin’ out your swag. Capita – Microscope: For those little shredders out there, the Capita Microscope hits all the marks. Riders who are still getting accustomed to the feel of a board can enjoy a twin shape, soft flex and a relatively flat profile for more stability. For reference, the Capita Microscope is the kiddy version of the Capita Horrorscope, a top-selling crowd pleaser. You can’t go wrong with starting out on a board like this! Burton – Feelgood Smalls: First off, the Burton Feelgood Smalls is one good-looking board. As the girls version of the longest running Burton women’s board, the Feelgood Flying V, you can expect top of the line performance from this board. Cruise down any terrain with a twin shape, medium flex, the perfect mix of a camber and rocker profile, and a Pro-Tip to reduce swing weight. Craft your skills riding a board that definitely won’t disappoint.